House Republican leaders on Monday removed Rep. Steve King (R., Iowa) from his assignments on the Judiciary and Agricultural Committees after the congressman questioned why white supremacy is offensive. The move took place after House Minority Leader Kevin McCarthy (R., Calif.) called a meeting of the House Republican Steering Committee, which voted unanimously to strip King of his committee assignments, the New York Times reported. King also lost his spot on the Small Business Committee. The decision to remove King from the committees came amid a wave of backlash in Congress for his comments. Senate Majority Leader Mitch McConnell (R., Ky.) and Sen. Mitt Romney (R., Utah) sharply criticized the Iowa congressman for his remarks, and Democrats have introduced several resolutions to censure King. In an interview published last Thursday, King questioned why white supremacy is offensive. "White nationalist, white supremacist, Western civilization—how did that language become offensive?" King asked. King also commented on the large number of minorities in the Democratic House majority. On Sunday, McCarthy condemned his fellow Republican congressman, saying, "That language has no place in America." "If he doesn't understand why ‘white supremacy' is offensive, he should find another line of work," McConnell said the next day. 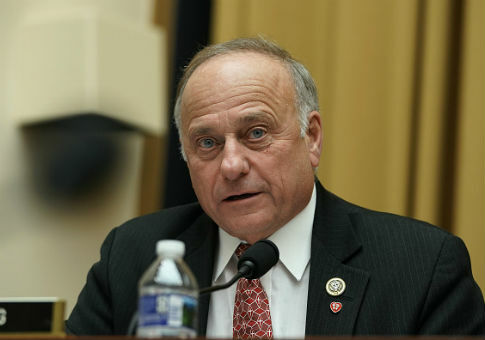 King tried to explain his remarks during a speech on the House Floor on Friday, calling himself "simply an American nationalist." Iowa Republican state Sen. Randy Feenstra said he will challenge King in 2020, and Iowa Gov. Kim Reynolds (R.) backed away from supporting King. "You need to decide whether you want to represent the values of the fourth district or do something else," Reynolds said. The chair of the Iowa Republican Party said the party would "remain neutral" in the primary for Iowa's 4th Congressional District. This entry was posted in Politics and tagged Iowa, Kevin McCarthy, Republicans, Steve King. Bookmark the permalink.